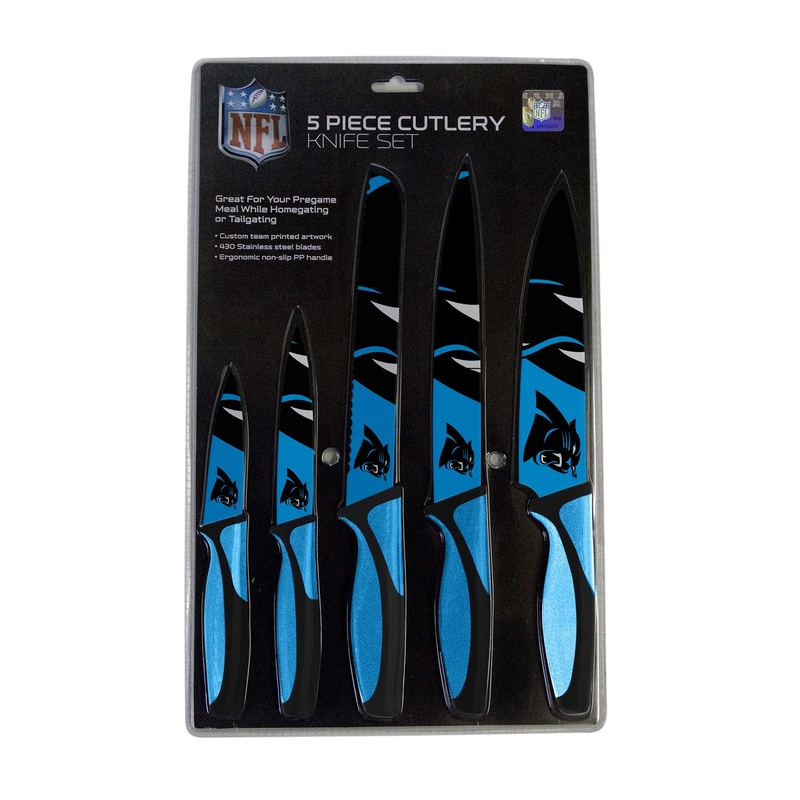 Evolve your kitchen game to the next level with the Carolina Panthers Kitchen Knives Set of 5. 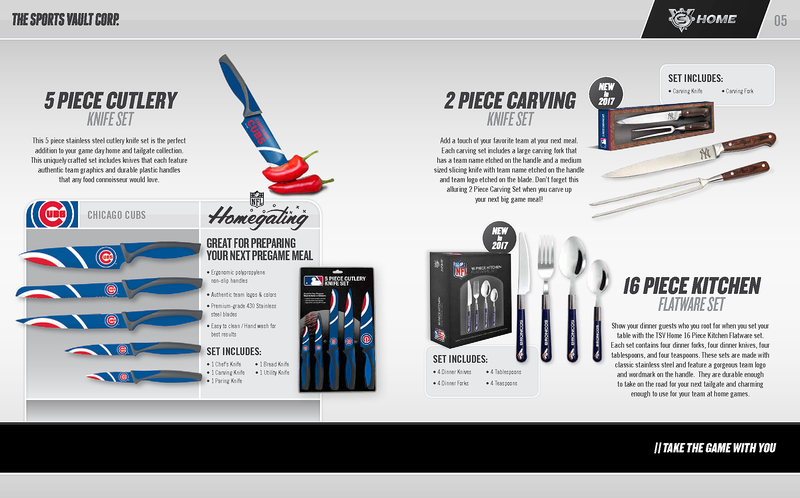 Officially-licensed by the Nfl, each knife in the set features the exclusive Carolina Panthers color scheme and team mascot, Sir Purr. 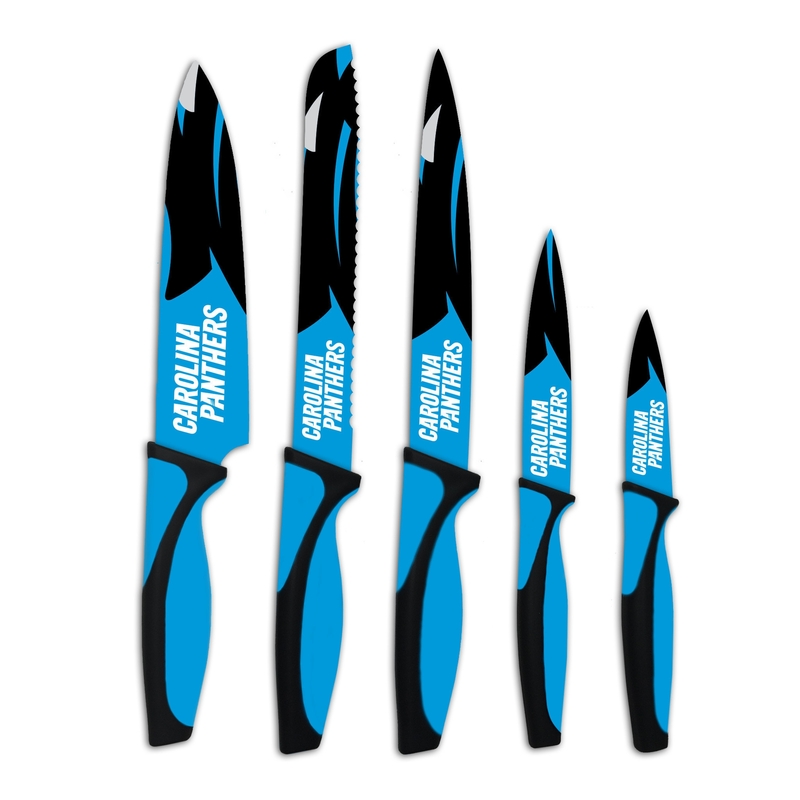 Within each Carolina Panthers Kitchen Knives Set of 5, you will receive a paring knife, bread knife, chef's knife, utility knife, and a carving knife. The blades are made from rugged stainless steel, which makes cleaning a cinch. To prevent slippage, the handles are made from no-slip polypropylene and an ergonomic design. Be the all star at your next backyard barbecue, tailgate, or gameday party. Each knife has passed testing for safety regulations. 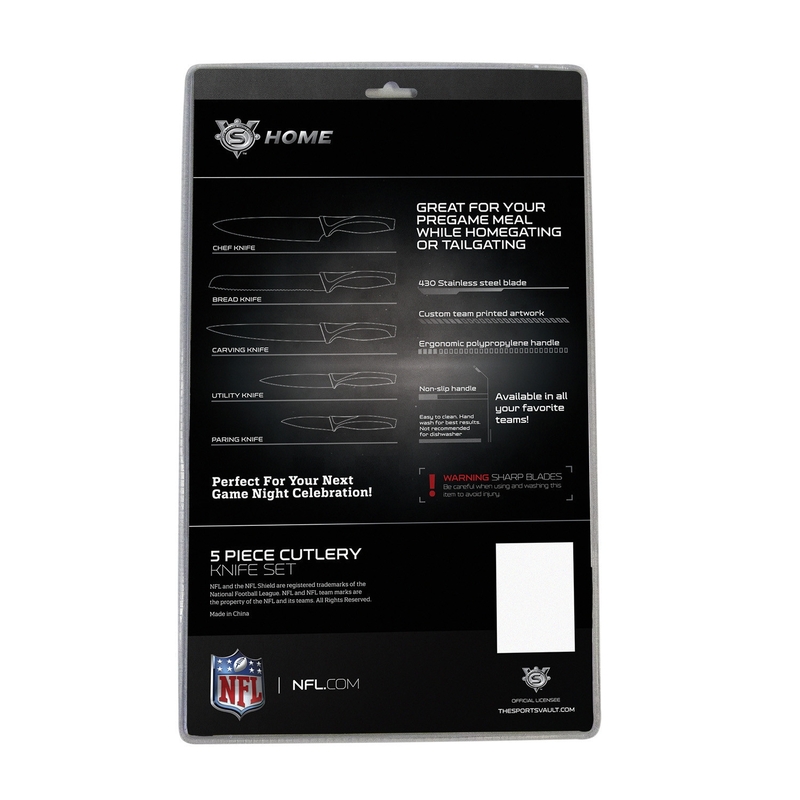 Order the Carolina Panthers Kitchen Knives Set of 5 today for yourself or as a gift for a friend or family member.